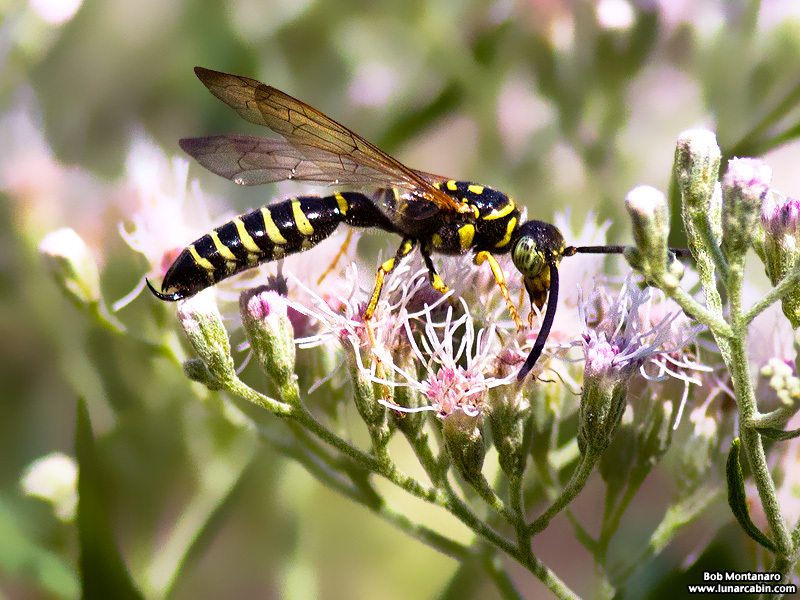 The beautiful but deadly, at least for the scarab beetle, tiphiid wasp [According to IFAS, Myzinum maculate – “Myzinum contains 26 species in four genera that are found throughout Florida…” with 140 species in North America] are pollinators that feed on plant nectar. In this case, nectar from plants in the Audubon House pollinator garden at the Oslo Riverfront Conservation Area. The male has a dangerous looking claw at the end of its abdomen, but this is more for show in making others think it has a dangerous stinger, which it does not have. 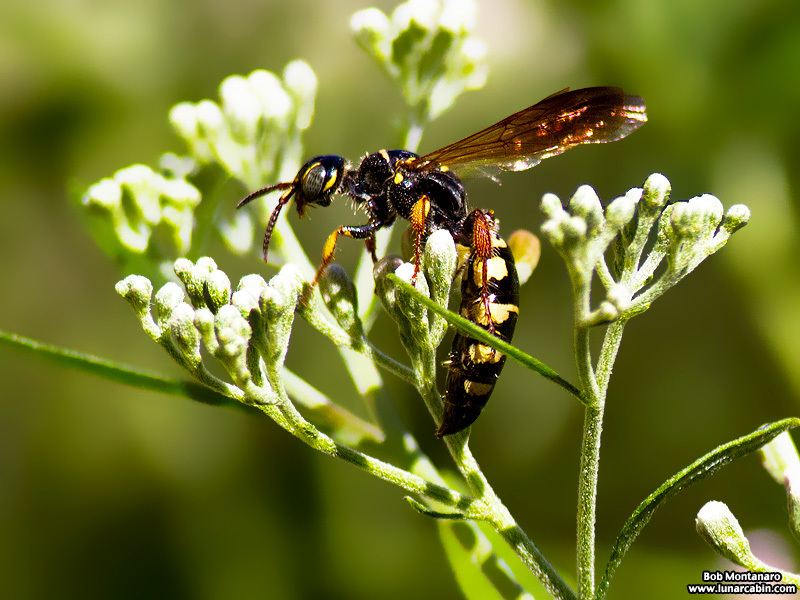 The female wasp searches underground, through her own digging or in finding tunnels left by their beetle prey, for beetle larva. She lays her eggs on the beetle larva, which will eventually be consumed as a living host by the newly hatched wasp larva.